Built expressly to sail right into the heart of Ho Chi Minh City, Emerald Harmony is Emerald Waterways' first purpose-designed ship on the Mekong River. 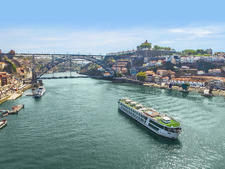 Since debuting in Europe in 2014, Emerald Waterways is perhaps best known for its fleet of contemporary "Star Ships" that combined affordability (they are a fraction of the cost of their most upscale brethren, Scenic) with contemporary design and inclusive features. 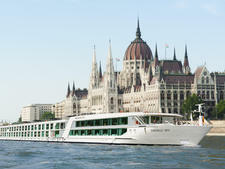 Emerald Waterways is now bringing the same style to Emerald Harmony. Capable of carrying just 84 guests, it offers a nearly 2-to-1 crew ratio and a wide variety of accommodations, from value-added cabins to suites that span 450 square feet and include wraparound balconies and private hot tubs. The ship also includes some unexpected touches, like a soaring atrium, a swimming pool with a retractable sun shade, an onboard hair stylist and even self-service laundry facilities (a rarity on any river cruise ship). 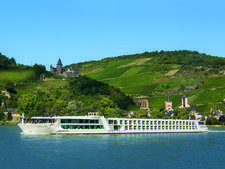 Scheduled to debut in August 2019, Emerald Harmony takes over Emerald Waterways' Mekong River cruises by introducing three brand-new itineraries that range in length from 13 to 21 days, with the river portion traveling between Ho Chi Minh City, Vietnam, and Siem Reap, Cambodia. Emerald Harmony will replace Mekong Navigator, the ship that the line had previously operated as a charter in Southeast Asia. A blend of locally inspired and Western cuisines are served in the main Reflections Restaurant, which is the primary source for meals onboard Emerald Harmony. Breakfast and lunches are served buffet-style, while evening dinners are multicourse affairs. Complimentary wine and beer are offered during lunch and dinner, and tea, coffee and bottled water are always inclusive. Passengers with dietary needs can be accommodated by noting these at the time of booking and confirming with the hotel manager once onboard. In the Lotus Lounge, snacks are served along with drinks, tea and coffee throughout the day. There are four basic types of accommodations available aboard Emerald Harmony, ranging from the entry-level Emerald Staterooms, which measure 256 square feet, to the Owner's Suites that offer 452 square feet of living space and every possible comfort on the Mekong. Emerald Staterooms are well-appointed river-view cabins that offer a porthole window with a small sitting area, in addition to a queen-sized bed (can be separated into two twins); a private bathroom stocked with toiletries, robes and slippers; individual climate control; a safe; mini-fridge; a telephone, alarm clock; hairdryer; and an interactive flat-panel TV. Emerald Panorama Balcony Suites are slightly larger at 273 square feet but include a private balcony with a drop-down window instead of the Emerald Stateroom's fixed-porthole window. Grand Balcony Suites add more space for a total of 398 square feet, plus other amenities like a complimentary in-suite mini-bar, an in-room Nespresso machine, two items of complimentary laundry per day, an invite to the Captain's Table at dinner, a pillow menu and the option to have continental breakfast, canapes and after-dinner treats served in the privacy of your suite. The top-of-the-line accommodation aboard Emerald Harmony is the Owner's One Bedroom Suite. At 450 square feet, it ranks among the largest accommodations currently available on the Mekong and features a private terrace with its own Jacuzzi, a walk-in wardrobe, separate living and sleeping areas, four complimentary items of laundry per day and all the amenities offered to those in Grand Balcony Suites. There are two Grand Suites, situated all the way forward on Pool Deck. Emerald Harmony doesn't skimp in the deck department. Spread across two decks, there is an aft-mounted swimming pool with ample seating options that is also covered by a retractable sun shade situated, appropriately, on Pool Deck. One deck above, Emerald Harmony has a full bow-to-stern Sun Deck with lounge chairs, a jogging track and an outdoor games area. It is worth noting that the Sun Deck might be closed when traveling under low bridges, but that isn't as common along the Mekong compared with European rivers like the Rhine and the Danube. Entertainment is low-key for the most part and primarily consists of mingling with your fellow passengers. Local entertainers are brought on at various ports of call, and a piano player might entertain during the cocktail hour. 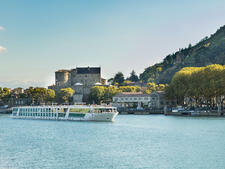 By and large, though, passengers are content to read a book, admire the Mekong or kick back with a drink and socialize rather than seek out organized entertainment options. 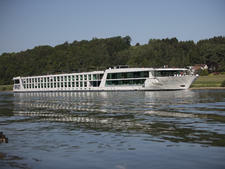 There are no children's facilities onboard Emerald Mekong. 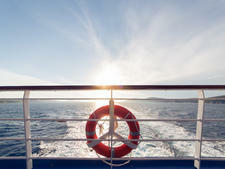 While you may see the odd family traveling onboard, this is an experience best suited to adults. Emerald Harmony was built specifically to sail right into Ho Chi Minh City. 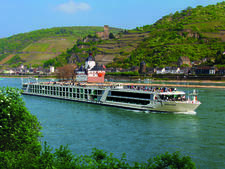 It is a unique feature, as most other river cruise ships plying the Mekong are forced to dock in a large industrial port outside of the city and bus passengers in. 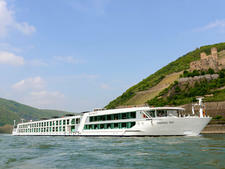 Emerald Waterways has Emerald Harmony operating three separate itineraries spanning between 13 and 21 days in length. The 13-day Majestic Mekong river cruise operates between Ho Chi Minh City and Siem Reap (or reverse) and includes sightseeing tours in the UNESCO World Heritage Site of Angkor Wat, near Siem Reap. Guests can expand their Mekong experience with eh 17-day Treasures & Temples of Vietnam and Cambodia that includes overland tours to Hanoi and Halong Bay (itself a UNESCO World Heritage Site), while the 21-day Grand Tour of Vietnam and Cambodia adds time in Hoi An and Hue, in addition to Hanoi, Halong Bay and Siem Reap.